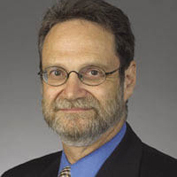 Dr. Howard Bergman is the Dr. Joseph Kaufmann Professor of Geriatric Medicine, McGill University and Professor of Medicine, Family Medicine and Oncology, McGill University and the Jewish General Hospital. From 2009 to 2011, Dr. Bergman served as Vice-President, Scientific Affairs of the Fonds de la recherche en Santé du Québec (FRSQ). From 1993 to 2009, he was Director of the Division of Geriatric Medicine at McGill University and of the Jewish General Hospital. He is also Adjunct Professor in the Department of Health Administration, Université de Montréal. He is a past President of the Canadian Geriatrics Society, a past Scientific Director of the FRSQ Québec Network for Research in Aging, a Past President of the Consortium of Canadian Centres for Clinical Cognitive Research (C5R) and a past Chair of the Advisory Board of the Institute of Aging of the Canadian Institutes of Health Research (CIHR). Dr. Bergman was co-Director of Solidage: the McGill University/Université de Montréal Research Group on Frailty and Aging and one of the principal investigators in the development and evalua-tion of the SIPA model of integrated care for the frail elderly population.